Perhaps you are thinking of becoming an Electrical Engineer? What is electrical engineering? It’s about problem solving, and using technology to help society. Electrical Engineering covers the design, manufacture, construction and management that are based in and on modern electrical technology. If you begin a career as an electrical engineer – what is some of the work you’ll be doing or duties you might perform? It can be anything from design, manufacture, construction, installation and management of electrical systems and technology in the computer, medical, telecommunications, manufacturing, media, entertainment, environmental control, consumer electronics and energy production fields. The skills you will need for some of these roles includes – creativity and being able to think outside the square, project management skills, be able to be both practical and resourceful, have a high level of technical expertise, be able to solve problems, possess great communication skills, be able to work as a part of a team, have good leadership skills as well as analytical skills. There are quite a few career opportunities available within this industry which includes – computer and communications networking, the design and manufacture of industrial and consumer products, engineering research and development, project and technology management, sales and service of technical equipment and telecommunications system design and installation. Where are places you might find work as an electrical engineer? Government and University research laboratories – such as the CSIRO, DSTO ( Defence Science and Technology Organisation) and various university research laboratories around the world, Telecommunication companies such as Optus, Telstra, Vodafone, Nokia and Toshiba and public sector institutions, both state and federal – such as RailCorp. The developers and manufacturers of medical devices, such as Cochlear; Banks and financial institutions; and IT companies such as Hewlett-Packard and IBM. Electrical Engineers are actually in high demand both locally and overseas. It is the fast growing high-tech fields of computing, telecommunications and electronics that need engineers to help drive the future of their products and services. 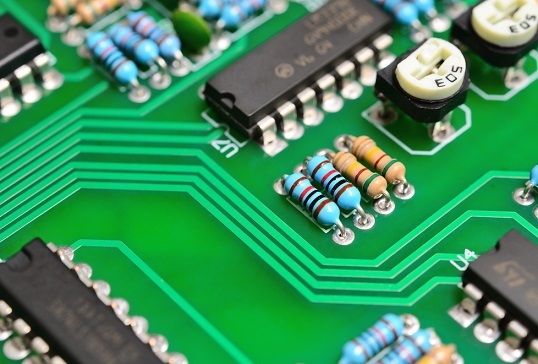 Electrical and electronic engineering is a much sought after and growing industry, to become an electrical engineer you will need a bachelor degree in electrical or telecommunications engineering. This is a career that can open many doors with work available in many industries offering wide and varied work and working environments. Are you an electrical engineer, are you considering a career in the industry? What help or advice can you share? Are there good courses on offer? Has being an electrical engineer taken you overseas? What areas do you or have you specialised in? Are there any pitfalls to being an electrical engineer??? We’d love to hear your stores and advice – good or bad!